Muscletech Performance Series Nitrotech Power is a 100% whey protein supplement that amplifies muscles. It reduces muscle recovery time and enhances workout performance. It is even found to boost testosterone and ATP regeneration. Its potent blend of ingredients leads to superior absorption and digestion. It also contains branched-chain amino acids (BCAAs) that are known as the building blocks of muscles. 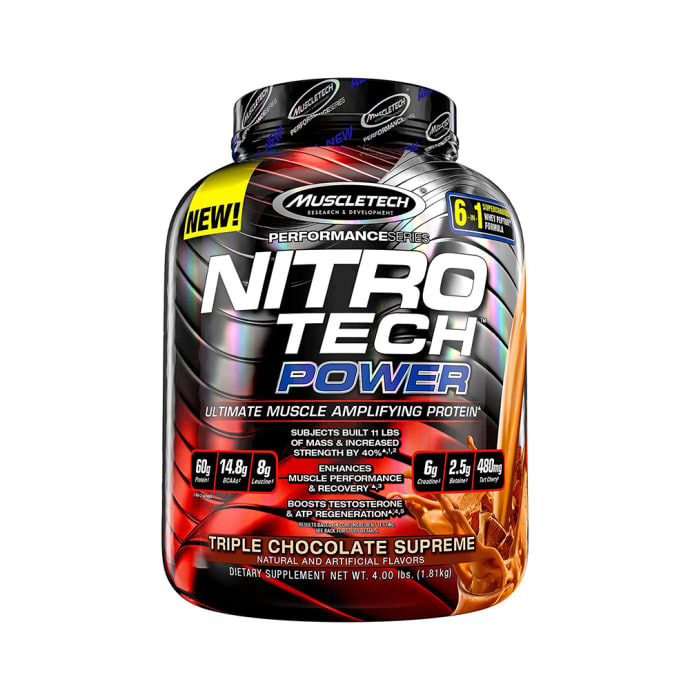 A licensed pharmacy from your nearest location will deliver Muscletech Performance Series Nitro Tech Power Triple Chocolate Supreme. Once the pharmacy accepts your order, the details of the pharmacy will be shared with you. Acceptance of your order is based on the validity of your prescription and the availability of this medicine.